Central Park NY has so much to see and do! Native New Yorkers always want to live “by the Park,” not just because of its beauty, but also for all the cool things to do there. Central Park draws between 37 and 38 million visits a year. 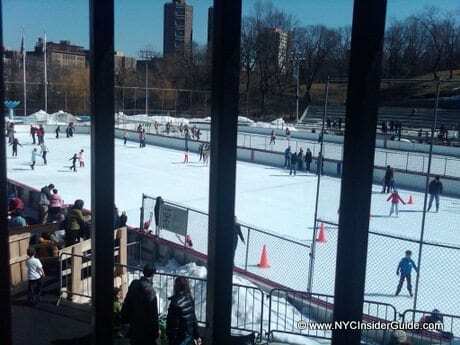 Most everyone has their favorite Central Park spot and you can read more about them below. Central Park is probably one of the most famous places in the world and one of NYC’s best (and free!) things to do. Central Park has been showcased for decades in movies, film and books. Here are some of the best things to do while visiting Central Park. 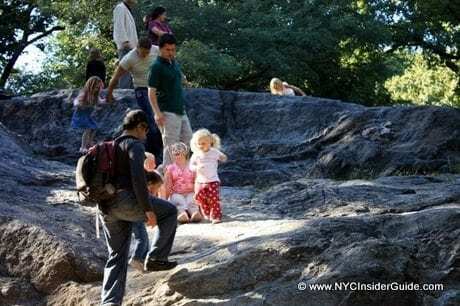 Central Park TV and Movie Sites Tour (On Location Tours) – one of the city’s most popular two-hour walking tours includes over 40 locations in Central Park NY. Visit the Boathouse Café used in ‘When Harry Met Sally’, the Bandshell from ‘Breakfast at Tiffany’s’ and ‘Kramer vs. Kramer’, and Bethesda Fountain seen in movies such as ‘One Fine Day’ and ‘Ransom’. More Info: New York City TV & MOVIE Tours – Huge Selection, Save Big! One of MY FAVORITE NYC Restaurants – the view and atmosphere are unparalleled. Surround yourself with trees and a lake and you likely won’t even know you are in the City. Both the day and night landscape are gorgeous. The food is also good, especially considering most restaurants with “prime locations” don’t have great food. Rent bicycles, row boats or, for a classic NYC wedding proposal, rent a private Gondola. Venetian Gondola Tour around Central Park Lake. $30 per half hour for up to 6 people; must reserve in advance. Andres, Central Park’s very own gondolier, can take your family on a 30-minute spin around Central Park Lake. A classic for a marriage proposal in New York City. The Bar Room is great if you want to sit on a comfortable sofa after a long walk or bike ride through Central Park. The main dining room has sweeping views of Sheep’s Meadow and floor-to-ceiling windows. The South Wing, the second dining room, looks like a stable with green tufted-velvet banquettes. Includes Central Park Movie & TV Sites Tour ($25 Value) and choice of Central Park Sightseeing Bike Tours & Rentals ($50 value). Most New Yorkers agree, Central Park is best seen on foot. Choose from over 10 different inexpensive tours all year round, such as Art of the Park, Belvedere’s Kingdom and Iconic Views of Central Park. You can also print multiple self-guided tours and download their free app. Central Park is always free, but with so many options, and 843 acres of park to see, pick the things best for you and your family. Check the official Central Park NY Tours site or try these FREE Central Park Tours with our favorite NYC free tour company, Free Tours by Foot. If had to pick my FAVORITE way to explore NYC, it would be on bicycle! Just ask anyone who has visited me, I take them all around on bike. 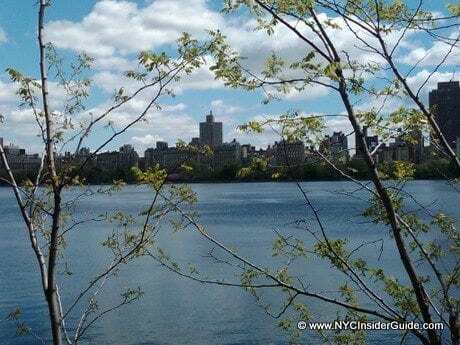 The views and hidden nooks of NYC you can see along our greenways and in our parks are second to none. 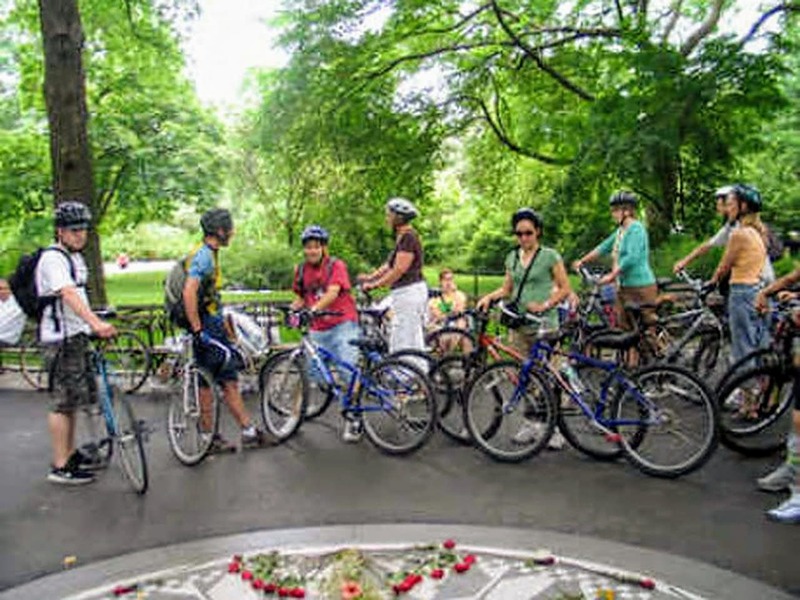 Leisure Central Park Bike Tour (2 hrs) – good for all ages, offer bike trailers and baby seats, helmets, guides, leisurely tour of our famous 843 acres. You can grab anything at a local deli, or order a pre-made picnic from many places, including Perfect Picnic and Delivery.com. For a DIY version, stop at the Whole Foods market in the Time Warner Center and make your own picnic to go, then enter CP right across the street at Columbus Circle. 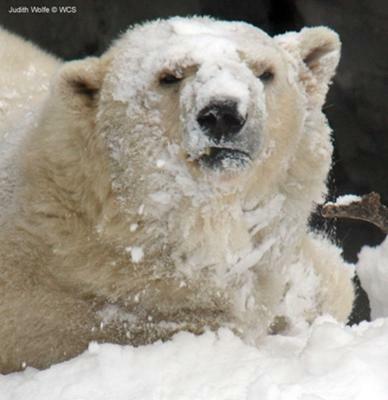 Open 365 days per year, the Zoo is fantastic place to see leopards, polar bears swimming, pandas, lions, penguins, harbor seals, monkeys and bears. 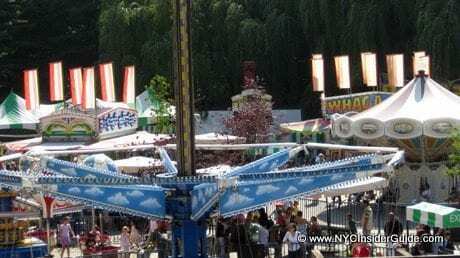 Check out the Petting Zoo, 4-D movies, snack at the Leaping Frog Café, rain forest with tropical birds and so much more right in the heart of NYC. Tickets start at Adult $20 and Child $10, Senior $9. Included with New York Pass and a choice on the Explorer Pass. 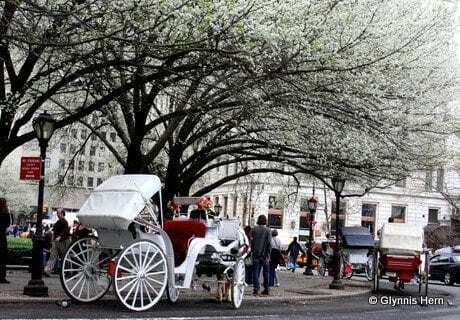 Please Note: NYC Insider Guide does not encourage (or discourage) riding horse-drawn carriages in NYC. However, many New Yorkers and animal rights activists are AVIDLY AGAINST this practice. Don’t be surprised to see picket lines and protests near the carriages. Our current Mayor is reportedly going to ban these rides soon. In general, it’s a very “tourist” thing to do and we’ve given you 10 better ways to enjoy Central Park. Rates: The signs say "$50 for 30 minutes or any fraction thereof" – but the REAL DEAL is the Hansom Cab Drivers take you on an assigned 1.5 mile route through the park that takes approximately 20 minutes (18- 23 minutes, depending on the horse pace). What the sign really should say is "$50 for 1.5 mile tour, $20 per 15 minutes thereafter," although the Hansom Cab Drivers do not like to add on time. The bottom line is you are paying for the tour, not hiring the Hansom Driver by the minute. Suggested tip is $10 if the driver does a great job, so budget $60. Prices are for 4 Adults, or up to 5 people with 3 Adults and 2 small children. 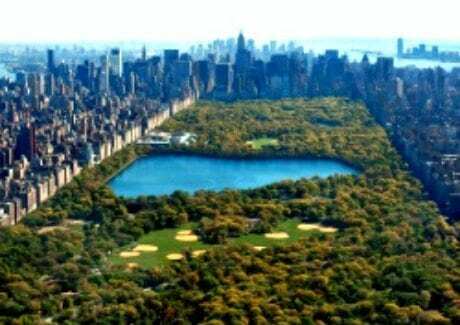 Central Park runs south to north from 59th St to 110th St and west to east from Central Park West to 5th Avenue. Central Park is open to visitors 365 days a year from 6:00 am to 1:00 am. Main Visitor Center: Dairy Visitor Center and Gift Shop.